What makes our Small Group Journeys so special? Join us for a three week Boutique Journey that will take you on an adventure like no other. Experience the breath taking scenery of snow-capped Alps, wander through lush tropical rainforests and relax on wide sandy beaches. 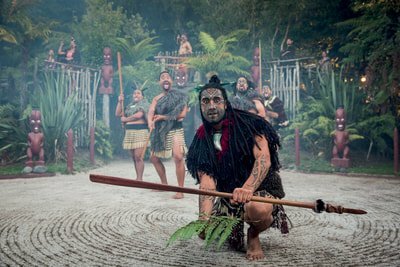 You will learn how this beautiful land has been shaped by ancient volcanoes and southern seas, by Māori warriors and colonial settlers. Friendly local guides will share their cultural, historical and ecological expertise whilst extending a warm welcome to you on this magnificent journey. 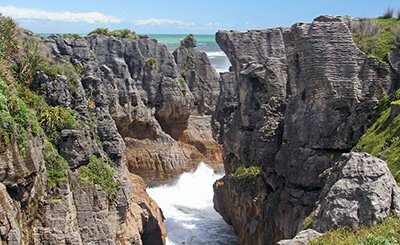 This Boutique Journey takes you through some of our favourite places and spaces in the North and South Islands, discovering fantastic coastlines and immersing you in Maori culture and history. Explore the geothermal wonders of the bubbling mud pools and ferocious geysers of Rotorua and enjoy the stunning scenery of the Abel Tasman National Park with opportunities to swim in its dazzling turquoise lagoons.. Explore the wide sandy beaches of the Coromandel coastline; dip your toes in the azure blue waters of Abel Tasman National Park; and journey deep into Fiordland National Park to cruise on the iconic Milford Sound – one of our all-time ‘must do’ experiences on a trip to the South Island. On this Boutique Journey you will see and learn about New Zealand’s amazing geothermal activities, experience authentic Maori culture and hospitality, and explore the vast range of jaw-dropping scenery that makes New Zealand a magnificent location for the ultimate vacation. The Rimu Boutique Journey explores the highlights of the North and South Islands. 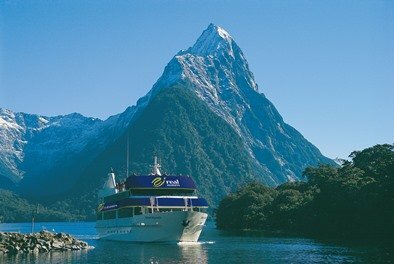 Unleash your adventurous spirit in the adrenaline capital of Queenstown, cruise Milford Sound and make the most of the abundance of walking opportunities the country has to offer as you travel through New Zealand’s fabulous landscapes. This tour squeezes more jaw-dropping scenery into two weeks than any other! The South Island has an unparalleled variety of landscapes from the majestic Fox and Franz Josef Glaciers, to the stunning views across Lake Wakatipu, Queenstown, to the Remarkable Mountains. A fantastic option for those with less time on their hands but still wanting to visit both of New Zealand’s main islands. On this tour you will experience the stunning scenery of the South Island, and the geothermal and cultural highlights of the North Island. This Boutique Journey takes in the stunning sights of the North Island starting with a journey to the sparkling Pacific waters of the Bay of Islands. Further south you’ll visit the Art Deco town of Napier and enjoy the wonderful wines of the Hawke’s Bay region before arriving in Wellington, ‘The coolest little capital in the world’. Sell travel to New Zealand? Include your Product in our Tours? If you book a Boutique Journey with us and pay your deposit, you are deemed to have accepted these terms. If you booked your Boutique Journey with us through an agent, the agent is deemed to have accepted these terms on your behalf. We may ask you to sign a copy of these terms when you join your Boutique Journey to provide a record of your acceptance of these terms and you agree to sign these terms on our request. You must pay a deposit of NZ$500.00 per person to confirm your booking. All balance payments must be received no later than 60 days prior to the commencement of your Boutique Journey. By making a booking with us and paying your deposit you agree to pay us the full price for your booking. • 60+ days prior to tour commencement, a loss of deposit plus any applicable airline cancellation fees. • 31-59 days prior to tour commencement receives a 50% refund. • 30 days or less prior to tour commencement receives no refund. • If you wish to cancel your booking and transfer to a new departure date, the above cancellation fees will apply. We strongly recommend that you purchase a travel insurance policy to cover you during your Boutique Journey. Obtaining good travel insurance is an important part of planning your holiday. A comprehensive travel insurance policy may protect you from spending extra money in the event of an emergency, health problems or unforeseen changes to your Boutique Journey. Although our prices were correct at the time and date of printing, we reserve the right to amend the price of your Boutique Journey if there are any changes in price imposed by other operators, major fluctuations in exchange rates, or increases in government taxes or other levies. We guarantee that the final price of your Boutique Journey will not change once we have received the final payment required for your Boutique Journey. If you pay your final payment to an agent, our price guarantee will not apply until we receive that payment from your agent. Please note that the price of your Boutique Journey excludes drinks, telephone calls, travel insurance and items of a personal nature. Until we have received your full payment, your Boutique Journey price is subject to major exchange rate fluctuations. We consider anything over 4% to be a major fluctuation. We will absorb the first 4% of any exchange rate fluctuation that reduces the New Zealand dollar value of the quoted price for your Boutique Journey. However, in the event of an exchange rate fluctuation that reduces the New Zealand dollar value of the quoted price for your Boutique Journey by more than 4%, we reserve the right to change the price of your Boutique Journey in your currency so that the payment we receive in New Zealand is 96% of our standard retail price in New Zealand dollars. The itinerary for your Boutique Journey was correct at the time of printing, but it is subject to change without notice. Your itinerary could change due to road or weather conditions, changes imposed by other tour operators or a range of other factors outside our control. You agree that we have no liability to you for changes to your itinerary. Can you change your itinerary? You may change your itinerary by advising us of the change you wish to make. If you change your itinerary it will be your responsibility to arrange tour or flight connections as necessary. Our standard cancellation policy will apply and we will not have any responsibilities to you except to provide the services provided for in your Boutique Journey. We are responsible for booking and packaging goods and services provided by other operators (“other operators”) such as hotels, attractions and transportation companies to create your Boutique Journey. We recommend that you familiarise yourself with the terms that will apply to those goods and services. We are not responsible and have no liability to you for the terms of other operators or for any loss, damage, omission or acts, negligent or otherwise, committed by those other operators. You agree to behave reasonably throughout your Boutique Journey and not to be a nuisance to other passengers. You agree to comply with these terms and the terms that apply to any goods or services supplied to you by other operators. You also agree to comply with our reasonable requests and the requests of other operators. You indemnify us for any liability, costs, damages or other expenses we suffer or incur as a direct or indirect consequence of your behaviour while part of your Boutique Journey. For the wellbeing of all passengers on your Boutique Journey, we reserve the right to remove you from your Boutique Journey and cancel your booking with us if you breach any of your obligations under these terms provided that, except in the case of a serious breach (as determined by us) we will give you notice of the breach and a reasonable opportunity (which will be no more than 2 days) to remedy the breach before exercising our cancellation right. In the case of a serious breach, we can exclude you from your Boutique Journey and cancel your booking by immediate verbal or written notice to you. In the event of such cancellation, you will be responsible, at your cost, for arranging any accommodation, travel costs and other matters required as a direct or indirect consequence of the cancellation. Please be aware that smoking is not permitted in any premises licenced to sell alcohol in New Zealand (bars, restaurants, cafes, casinos, etc) . You cannot smoke in your hotel rooms or any of our vehicles. All our tours are based on twin/double share. However if you are a single passenger you are welcome to join us by paying the single supplement cost. You should be in good health and able to walk moderate distances to fully appreciate all of the sightseeing opportunities in your Boutique Journey. By paying your deposit you confirm that you are of reasonable health, are fit to travel, and are not travelling contrary to medical advice. We reserve the right to cancel your booking or to remove you from a tour if your health or fitness interferes with any other passenger’s experiences or the day to day running of the tour. If you will be bringing medication with you we recommend that you carry a doctor’s certificate in relation to that medication to avoid possible problems with customs officials and that you investigate whether you will be able to bring your medication into New Zealand. Doctor’s prescriptions are needed to obtain certain drugs in both Australia and New Zealand. You agree that we have no liability to you for any loss, damage, costs or other effects of health problems you may encounter on your Boutique Journey. It is your responsibility to comply with any New Zealand immigration, customs and/or quarantine regulations when entering New Zealand and to comply with New Zealand when in the country. We will not, under any circumstances, have any liability or responsibility to you if you do not comply with any customs and immigration rules and regulations or if you fail to comply with any laws during your Boutique Journey. For example, if your failure to comply with immigration requirements means that you cannot enter New Zealand and commence your Boutique Journey, you will not be entitled to any refund or any other payment from us and our standard cancellation policy will apply. The Consumer Guarantees Act 1993, the Fair Trading Act 1986, and other statutes in New Zealand may impose warranties, conditions or obligations upon us which cannot by law (or which can only to a limited extent by law) be excluded. We exclude all such imposed warranties, conditions or obligations to the extent permitted by law and exclude any warranty, condition or obligation imposed or implied under common law, equity or otherwise. Except to the extent that the law prevents us from excluding liability and as expressly provided for in these terms, we shall not be liable for any loss or damage or liability of any kind whatsoever (including consequential loss or lost profit or business) whether suffered or incurred by you or another person and whether in contract, or tort (including in negligence), or otherwise and whether such loss or damage arises directly or indirectly from Work or Goods provided by us to you. To the extent that we are liable for any reason for any loss suffered or liability incurred by you arising from any breach of these terms or for any other reason, such liability is limited to the price of your Boutique Journey. Generally, we arrange for all passengers in our vehicles to change their seats daily so that all passengers have the opportunity to enjoy forward and window seating. You agree to participate in any seat changes we organise in our vehicles. New Zealand airport transfers are included on all of our tours. If you have made independent pre/post tour arrangements outside of our itinerary then the costs for those transfers are not included in our price and we accept no liability or responsibility for those transfers or other arrangements. You will be responsible for ensuring that you arrive at our designated departure location in time to begin your Boutique Journey with us. Due to space limitations aboard our vehicles, you can only bring with you on your Boutique Journey one average-sized piece of checked baggage weighing a maximum of 20kg (44lbs), plus one piece of carry on luggage. Your carry on luggage must be the Leisure Time Tours Travel Bag we will provide to you when you start your Boutique Journey. If you bring excess baggage with you, we reserve the right to leave that excess baggage behind and you will be solely responsible for arranging and paying for storage of that excess luggage during your Boutique Journey. We will have no liability to you for that excess luggage. We recommend that you bring casual clothing with you on your Boutique Journey. You should bring clothing that you find to be comfortable and relaxing. Lightweight drip-dry clothing is ideal. Warmer clothing for evenings will be handy. As New Zealand can experience ‘four seasons in one day’ layering is key. Regular laundry facilities are available throughout your tour. For special dinners many passengers like to dress up, but by all means be comfortable; on the remaining nights “smart casual” is suggested. We recommend that you pack your prescription medicines (an adequate supply to last through the journey) along with your travel documents and a change of clothing in your carry-on bag to avoid any inconvenience in the event that a flight or luggage is delayed. When you come to New Zealand you must have a valid passport which must have a minimum validity of 6 months remaining following the end of your travel to New Zealand. It is a good idea to carry with you a photocopy of the ‘Photo Page’ of your passport, as well as to leave photocopies of the travel documents and identification papers with someone at home and/or have electronic copies available. Australian passport holders do not require visas to enter New Zealand; neither do Australian permanent residents with current resident return visas. 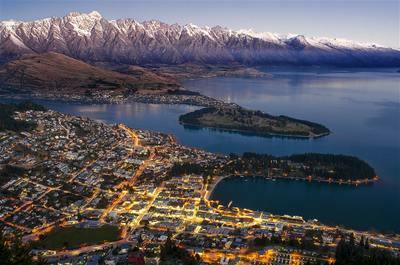 All other visitors to New Zealand must possess a return or onward ticket to a country to which you have right of entry. Our escorted tours are just that – OURS – created by us, exclusively for our guests. 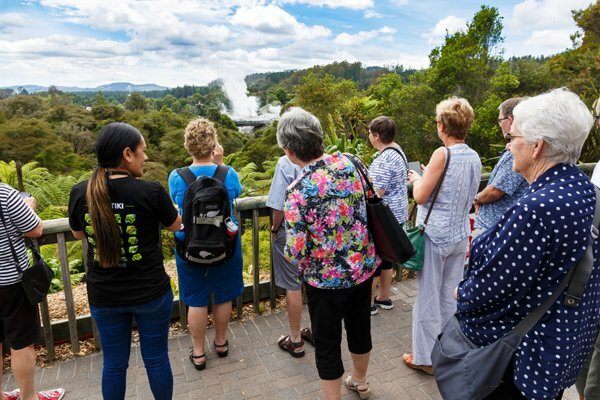 Not only are our itineraries unique, but we choose to tour with no more than 16 people which means that our Small Group “Boutique Journeys” offer amazing opportunities to get close to the real New Zealand. Because we are few in number, we can go places and see things that are simply not practical for ‘coach tour’ groups of 40 or more. So while we include all the ‘must-see’ sights in our itineraries, we also add smaller-scale adventures that only a small group can experience. 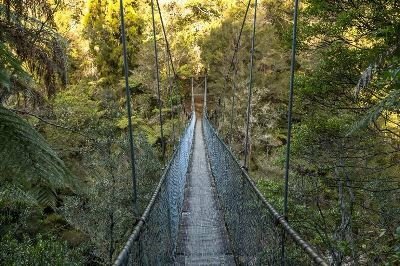 You’ll never forget your first sight across Auckland Harbour, or of Aoraki/Mount Cook, but your happiest memories may well be of our guided walk through the Waimangu Valley, comparing wine notes in Hawkes Bay or enjoying a leisurely lunch in a Coromandel café. Our small group tour vehicles are agile enough to explore roads less travelled, approaching New Zealand’s most beautiful sights – both iconic and hidden gems – from a different angle. We can get off the beaten track just as easily as we can cruise Highway 1. Our vehicles are also very comfortable, with good legroom, headroom and large windows so you can see where you’re going, but we don’t want you to experience New Zealand through plate glass, so we take every opportunity we can to get you off the coach! Kiwis are passionate about showing visitors the best of New Zealand so not only are our hand-picked leaders safe drivers in all conditions, but they are also happy personalities, full of knowledge, enthusiasm, insights and practical advice. At some points we meet up with a local guide to add his or her expertise to enhance your experience. These include Kiwis who are wildlife, eco, geothermal or Maori specialists with whom you can engage on a personal level. Our driver/guides will also go “the extra mile” literally to showcase some of New Zealand’s hidden gems! With a small group we can be more flexible about each day’s timetable, creating opportunities for surprise encounters and time for stops en route. We can stop along the way for a photo opportunity; if there’s a new exhibition at a museum we can linger longer and if it’s 90o in the shade we can cool down at the beach before we hit the road again. Our itineraries range from 10 to 21 days so there’s one to suit you, and we are also flexible enough to top and tail any tour with tailor-made arrangements to suit you. In a group of no more than 16 it is easy to find common ground with like-minded travellers and at the same time enjoy a variety of dinner table conversations. Our small group size also means we can dispense with ‘coach tour’ admin like asking you to wear a name badge – good manners and good humour are more important to us than strict timekeeping. Discovering New Zealand in such good company is a very special experience, with the potential for serendipitous surprises, a lot of laughs and perhaps new friends for life. Our itineraries include a wonderful mix of hotels and home-stays along the way, because we are not confined to using mass market hotels. Sometimes we choose a large city hotel because of its central location, but wherever possible we opt for smaller properties with their own character, including local rural properties so that you can enjoy some real Kiwi hospitality.